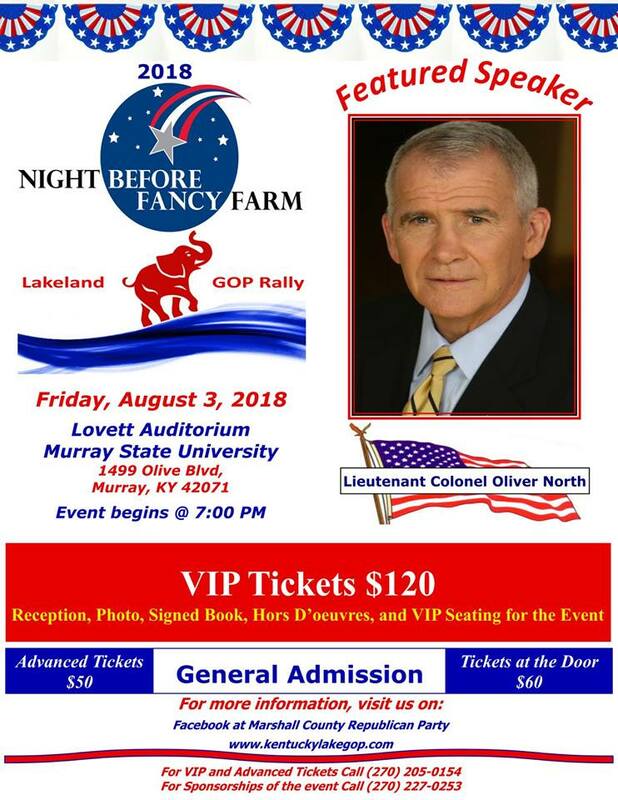 The Marshall County Republican Party is sponsoring an event featuring Lt Colonel Oliver North who will be the featured speaker at the “Night Before Fancy Farm” at 7pm on Friday, August 3rd. This event will be held at the Lovett Auditorium of Murray State University. Buy your tickets ASAP because seating is limited and tickets are expected to sell quickly.